Regarded as a gateway to the wider world for us and a stepping-stone to Australia for foreign visitors; Singapore isn’t particularly well known for its culture, history or heritage. Often, the majority of Singapore’s visitors are passing through en-route to other destinations rather than staying in the city-state to enjoy a holiday. But what happens if you do stay in Singapore for any amount of time? Surely you won’t just stay in your room and wait for your flight, train or ship to depart? The truth is, there’s actually lots to see and do in Singapore, and a whole raft of cultural attractions to enjoy. Here, we round up 6 of the sights not to be missed during your next visit to Singapore. Located on the fringe of Singapore’s shiny shopping belt, the Singapore Botanic Gardens provide a welcome respite from the glitz of the city. Established over 150 years ago, the site is celebrated as the only tropical garden in the world to receive UNESCO World Heritage status. A hotel it may be, but Ritz-Carlton is also home to an astonishing array of artistic works, and now hosts specialist exhibitions on a rolling monthly basis. Located on the eponymous Raffles Avenue, the artwork featured by Ritz-Carlton echoes the unflinching modernity of the hotel itself. While Singapore is awash with museums harking back to the country’s Perenakan past, none are so evocative, moving or fascinating as the Chinatown Heritage Centre. Here, in the middle of the real Chinatown, you’ll find rows of authentic Peranakan houses and shop fronts perfectly preserved for future generations to enjoy. Sure, head to the designer names of Orchard Road, but when you’re done be sure to schedule in a trip to Haji Lane — where the real retail therapy begins. At the heart of Singapore’s Muslim quarter, Haji Lane is home to a frankly laughable array of affordable fashion outlets where you can pick up exquisite garments for peanuts. Provided you aren’t adverse to your fellow tourist, The Singapore Flyer is a great way to see the extraordinary Singaporean skyline in one fell swoop. 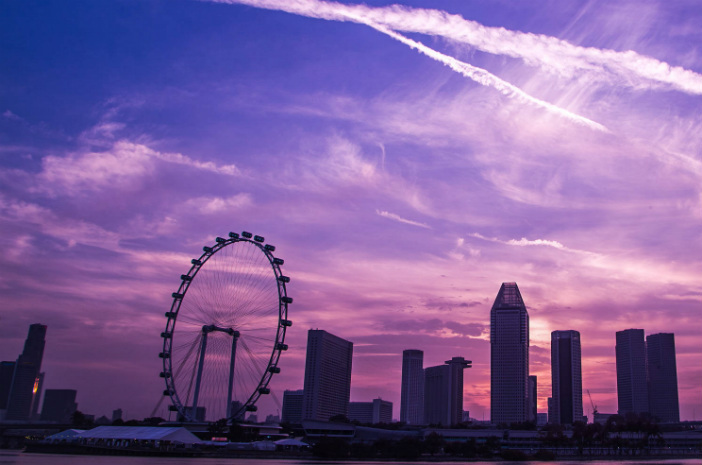 Standing at a height of 165m, Singapore’s big wheel is a whopping 30m taller than the one found on London’s South Bank — so you can expect a great panorama at the top. Sinking a Singapore Sling is customary in Singapore, but there is much controversy surrounding where to actually enjoy this decadent cocktail. Most head to the world-famous Raffles Hotel, where the Singapore Sling was allegedly enjoyed by the likes of Ernest Hemingway and Noel Coward. Today, Raffles is no more than a heavily-touristy bar serving premixed versions of the classic cocktail, so rule that out immediately and head to 1-Altitude instead. Here, you’ll be served a bartender-made sling amid glorious surroundings — exactly how a Singapore Sling should be enjoyed. Have we managed to convince you that Singapore is just as much a cultural hotbed as others destinations in Southeast Asia? If so, head over to the Cruise1st Australia homepage where you’ll find a selection of upcoming Singapore and Southeast Asia cruise breaks. Should you require any help finding the cruise that’s right for you, give our customer service team a call on 1300 306 318.